Perdika Resort is located within a short walking distance of Karavostasi Beach. 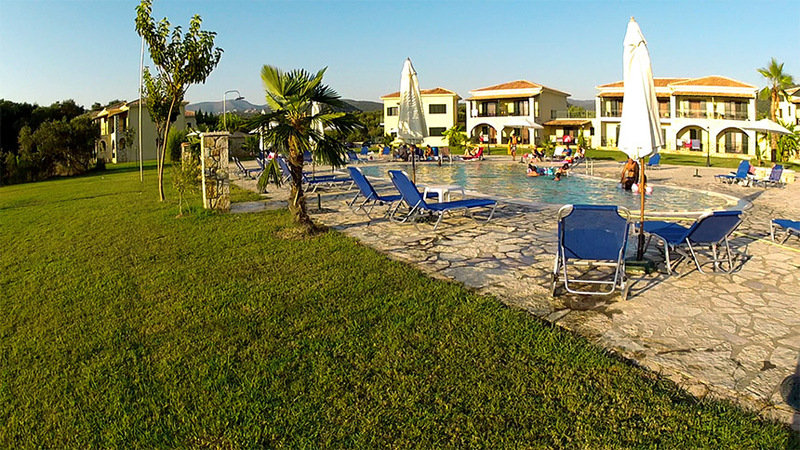 It is a peaceful and charming place away from the crowd and offers an outdoor pool and free wireless internet. This resort is located in the quiet and picturesque fishing village of Perdika and provides rooms for couples, families and groups. The rooms are spacious, with warm colors and all comforts. The beautiful surroundings around the pool with the lovely terrace are ideal for relaxing. You can have a walk through the lush gardens of Perdika Resort or enjoy your drink on the private terrace, admiring the stunning views of both mountain and sea. 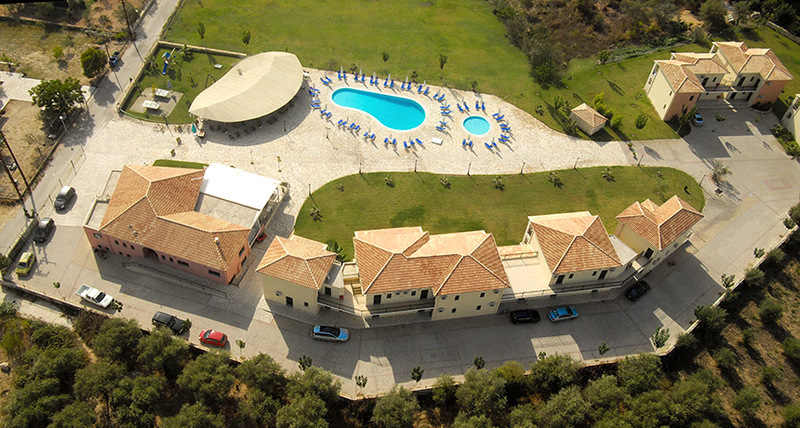 If you want to explore the island of Paxos, Perdika Resort can arrange for your tickets to be booked. Free private parking is available. The friendly staff is always willing to help you out with useful information for your tour to the island. Full time child services. 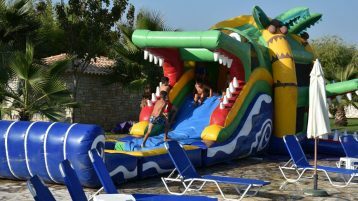 The hotel facilities are designed to provide creative activities for all ages, free of charge. 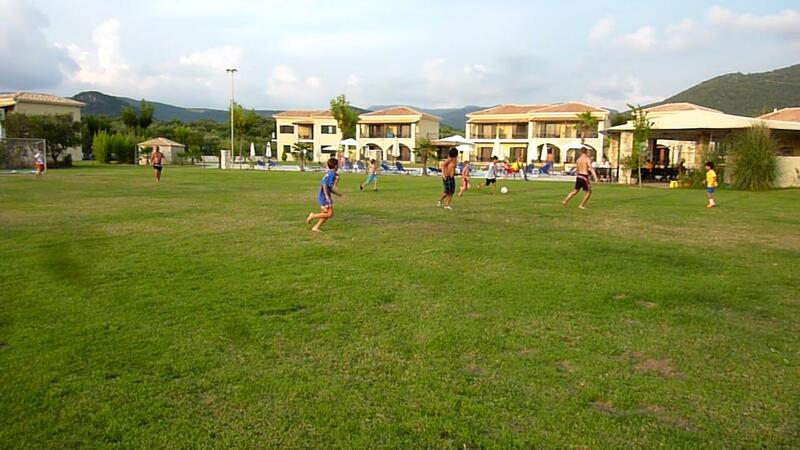 A football pitch with a turf on an area of 2.5 acres with lighting until 12 midnight, baskets, volleyball court, table tennis, karaoke and summer cinema, bicycles, playgrounds, foosball tables and electronic games are just some of the continuously enriched activities to a very large area, providing the possibility for many children to play. Two swimming pools, for children and adults. Many sun beds and umbrellas are available to relax and enjoy your coffee or drink. Right next to the bar, lounge music will make you feel more relaxed while you are thinking about your next cool dive. For our little friends, the children’s pool provides safety and endless hours for play. The bar is open all day, offering cool refreshments and coffees, next to our pool. When the sun goes down, lights turning on and the place transforms into a beautiful summer bar with the pool looks like a sapphire. All dishes are made of pure ingredients, selected from different corners of Greece and our skilful kitchen staff turn them into gastronomic pleasures. You can enjoy daily Mediterranean cuisine from a famous chef. In the same place, our delicious Greek breakfast is served.